“Climate change creates new risks and exacerbates existing vulnerabilities in communities across the United States, presenting growing challenges to human health and safety, quality of life, and the rate of economic growth.” This statement is just one of many dire predictions reported in the recently released Fourth National Climate Assessment. In fact, a new study shows global temperatures might be rising faster than expected. “Climate change isn’t just an environmental concern – it’s the most important public health challenge of our time,” states Jonathan Patz. On this program, Dr. Patz describes how climate change can affect health both directly and indirectly. He also updates us on the Trump Administration’s threat to have the United States leave the Paris Climate Agreement which would make the U.S. the only country in the world not participating. For 15 years, Dr. Patz served as a lead author for the United Nations Intergovernmental Panel on Climate Change, the organization that shared the 2007 Nobel Peace Prize with Al Gore. He also co-chaired the health expert panel of the first U.S. National Assessment on Climate Change, a report that is mandated by the U.S. Congress. The number 13 may just be State Senator Fred Risser’s lucky number. With the inauguration of Tony Evers, that will be the 13th Governor Senator Risser will serve under as a member of the Wisconsin Legislature. The previous 12 governors were evenly divided between 6 Republicans and 6 Democrats. “The pendulum always swings,” says Sen. Risser. And he speaks from experience. Poised to go into his 63rd year in the Wisconsin Legislature, State Senator Fred Risser can officially claim the titles of Longest Serving State Legislator in Wisconsin history and the Longest Serving State Legislator in United States history. 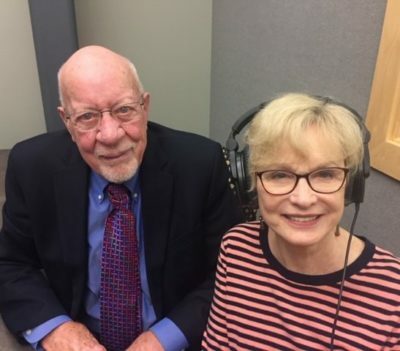 On this program Sen. Risser shares secrets of how he has been able to maintain his health and vigor for work and life. “I’ve never used the elevator in the Capitol for one thing. I always take the stairs,” he stated. “I also was blessed with good genes, and I never smoked.” Each year on his birthday, he also rides a mile on his bicycle for every year of his life. This past May, he rode 91 miles. Fred Risser is also passionate about Wisconsin and hasn’t lost his enthusiasm for representing a good part of Madison and the Village of Shorewood Hills as a Democrat. He takes us down memory lane recalling momentous moments in the Administrations of each of the governors he has served under and his own legislative challenges and accomplishments. Senator Risser has been called “an institution within an institution.” and there is no sign that is going to change anytime soon. “Retirement’s never been a goal of mine,” he said. 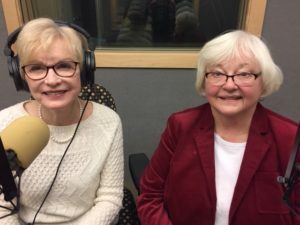 “Before we get to the fragile era in anyone’s life, we want older adults to be engaged in our community and active – and indeed they are,” says Christine Beatty, who is retiring as Director of the Madison Senior Center after 30 years of service. Christine Beatty has been a trailblazer for seniors and created a national model for senior centers across the country involving older adults in mainstream living as leaders, teachers and learners and providing balance and diverse programs that act as a model for aging. On this program, Christine highlights some of the groundbreaking programs the Madison Senior Center has initiated under her leadership. Her purpose was not only to change the minds of the general public about the contribution that older adults can continue to make in the community, but she had to convince the elderly themselves that they had more to offer. Christine Beatty may be retiring as Director of the Madison Senior Center, but she intends to walk the walk – roll up her sleeves and expand her experience and wisdom into a broader arena of bolstering the role of seniors in today’s society. The Aging Mastery Program will be offered in 2019 beginning on January 7 from 5-8 pm at Warner Park Community Recreation Center. The fee is $49. If two people register together, the fee is $79. Call 266-6581 for registration and information.